Woodpeckers & Brain Damage Mar 26, 2018 I remember the first time I saw a Greater Spotted Woodpecker. I was in a beech woodland in Sussex during autumn time. 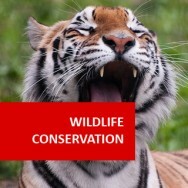 The leaves had started to turn golden brow..
3 Things for a Wildlife Sanctuary in your Garden Jun 21, 2018 The realm of wildlife conservation is fraught. 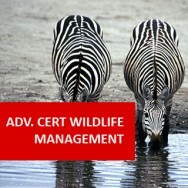 Our wildlife is under direct threat from all sorts of, most of it can be directly attributed to human activity. P.. The course level is at least comparable to an A level. It is an unregulated course carrying an endorsed certificate from a Recognised Awarding Organisation, when study option A is selected. Our courses focus on helping you learn as much as possible, as opposed to many that primarily focus on teaching you how to pass an exam. Ultimately, assessment and endorsement for many courses delivered by other providers, merely means you have met a set criteria of minimum standards with regards to learning and in doing so, you actually learn less. Our effort is almost entirely on helping you learn, which means the learning outcome is better and many universities will recognise that you have a solid understanding required to progress to degree level. We believe that we achieve the correct balance between your qualification being recognised and providing you with an in-depth learning in your chosen discipline, that will empower you to succeed. This is because in the real world, the person who can demonstrate that they have the level of knowledge and transferable skills necessary to an employer, will often be more successful than the one who might be endorsed as meeting minimum standards, but who in fact has only received a superficial understanding of the subject. Don't forget to check out our Testimonials page, to see what previous learners think of us and how they used the new knowledge and skills they gained. you can rest easy- you have as long as you need to study with us, and there are no additional fees or hidden charges for this or any other service, unless explicitly stated. This course is "experiential based"and designed to provide you with practical components to make the course as interactive as possible. 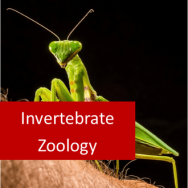 It will also provide an opportunity to learn from industry professionals, while exploring the fundamental principles of vertebrate zoology. 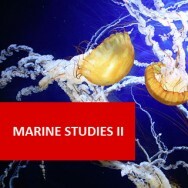 It will give you a thorough understanding of “higher” animals’ Zoology, Taxonomy and Biology, together with some principles on animal ecology and morphology. 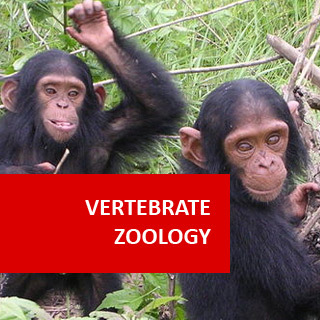 You will learn the essentials of Vertebrate Zoology, giving you a solid foundation to understand animals. It will benefit anyone who is working with animals or it will build a sound foundation for further studies whether in farming, wildlife, veterinary or pet care industries. 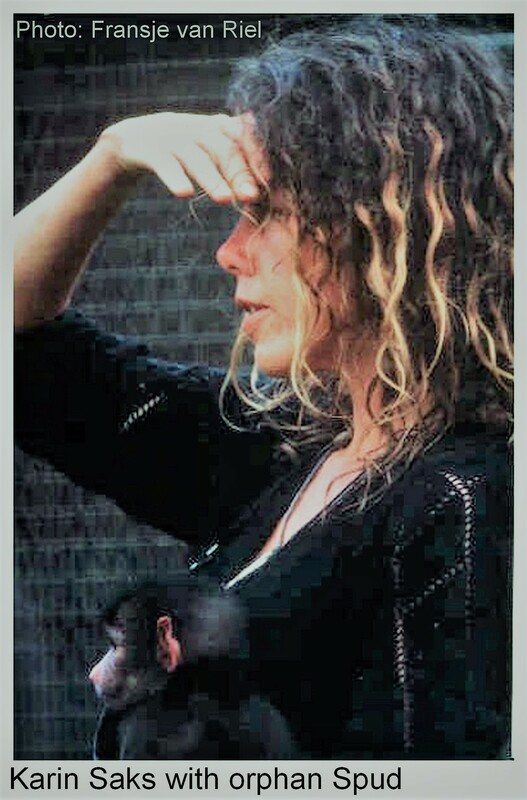 Currently we have the Primate Naturalist: Karin Saks, studying our Primatology course. Karin has been fostering and rehabilitating orphan baboons, caring for injured monkeys returned to the wild, plus promoting a harmonious co-existence between primates and humans since 1997. She also founded The Darwin Primate Group as a non-profit organisation in 2008 and in 2014, moved to Kwazulu Natal to research the endangered samango monkey populations in the Midlands. Watch "A Day in the Life of a Trail Camera", the latest video on the Samango Vervet Monkey Research Project by clicking HERE. 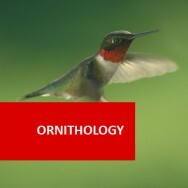 Distinguish between major groups of vertebrates through a demonstrated understanding of their taxonomic classification and diversity. Describe the distinguishing characteristics of all major groups of fishes. 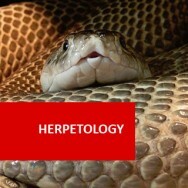 To describe the distinguishing characteristics of all major groups of Ectotherms, Amphibians and Reptiles. 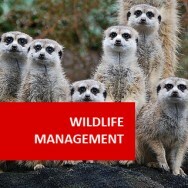 Describe the distinguishing characteristics of all major groups of Mammals. Describe the distinguishing characteristics of animals in the order Marsupialia and compare mammalian specialisations with those of other vertebrates. Describe the distinguishing characteristics of animals within the grandorders Glires and Insectivora. Explain Ectothermy in a variety of different animals. 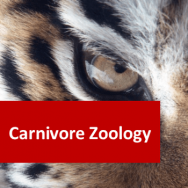 Describe the distinguishing characteristics of animals within the order Carnivora. Describe the distinguishing characteristics of animals within the grand order Ungulata. Describe the distinguishing characteristics of animals within the grandorder Archonta. 1 Vertebrate Taxonomy and Diversity Taxonomic classifications (Kingdom, Phylum, Division, Class, Order, Family, Genus, Species). 4 Birds -Physiology (Structure) and Anatomy, Feathers, Colour, Legs, Skeletal structure, Muscles, Senses, Behaviour (Flight, Diving, etc), Egg formation, Hatching. Diving birds, loons, Cuckoos, coucals Nighthawks, whippoorwills, Mousebirds, etc. Sub class Eutheria (Placental masmmals -these include such diverse forms as whales, elephants, shrews, and armadillos, dogs, cats, sheep, cattle and horses. Humans, of course, are also placental mammals). Chiroptera. This order comprises the bats. Visit a Zoo, Wildlife Park or even a Pet Shop. Observe the range of animals present and report on them. Visit an aquarium supply shop, marine park, fish retailer, or other facility where you can observe fish. If your mobility is restricted or you are unable to locate such a facility, look at the web site of an aquarium, and see what diversity of animals is to be seen on that web site. Identify animals from different orders and report on them. 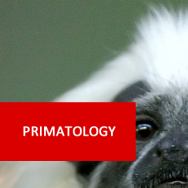 Investigate the biological characteristics of one species of mammal. Research a particular family or genus of marsupial. Visit either a pet shop or zoo and observe any animals from the Glires or Insectivora that you find there. Observe a dog closely. Take note of its external features in the light of the things you have learned in this lesson. Notice the shape of the head, body and legs, the characteristics of the feet, etc. Make notes on your observations. Compile a scientific description of the anatomy of the dog you observed. Where possible, use technical terminology that you have learned during your course. Visit a farm, pet shop or zoo and observe any animals belonging to the Grandorder Ungulata that you find there. Make a list of these animals. Research an order, family, genus or species of hooved Mammal (Ungulata). Try to observe some monkeys and/or apes. You might do this by visiting a zoo, watching a video or looking on the Internet. Make notes of any similarities and dissimilarities you observe between these animals and humans. Research their physical and behavioural characteristics with a view to comparing these with human characteristics. SPECIAL PROJECT: Prepare a report on the relationship between environmental change and mammalian evolution. Gain all important hands-on experience with wildlife animals, to add to your CV whilst you are studying your Vertebrate Zoology course with ADL, or after completing it. We are very happy to be associated with GVE, which offers an unforgettable volunteer experience in South Africa with their Game Capture and Vet Experience programs.